You have probably heard this term even if you are not familiar with website creation. We speak english, Google and other search engines speak code. 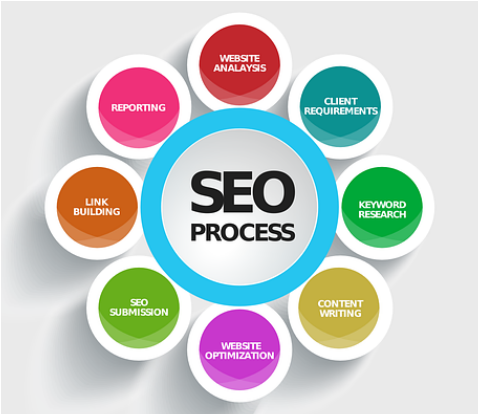 Think of SEO as a world renowned translator when working with search engines. There are hundreds of different ways to include information on your site (visible or non-visible to the user) that SEO will translate to google. This allow google to search & find relevant websites for the customer. When people enjoy and spend more time viewing your products or services then you start to be google right hand man. And trust me, you want to be google right hand man. The content that your site contains plays a major role in where you show up in search results but is no where near all the content that needs to be implemented. A lot of platforms such as weebly, squarespace & wix have an input option called meta keywords. This is an HTML code that tells search engines what the topic of the page is.